A few weeks ago, I was preparing a talk on WordPress at a local university. I knew that posting here at Notes from the Metaverse was on the erratic side in recent months. Yet it was something of a shock to discover that more than a year had gone by! When confronted with a fact like that, you have to ask yourself if it’s time to recognize that Notes had run its course, and let it slip quietly away. Maybe no one would notice after all these months. After careful consideration, I realized I still had something to say. Blogosphere: You ain’t rid of me yet! What is the Open Web? Notes from the Metaverse has nearly always been about helping people use technology, and occasionally how to think critically about technology. Moving forward, that really doesn’t change much. I saw a headline last week that startled me: “Can democracy survive the Internet?” Haven’t read the article yet, but one of the philosophical premises of this blog is that the Internet might be the most powerful force for democracy that’s ever been. My concern is that the technologies empowering people through the Internet are under attack, and their promise might fade — or even disappear — if we don’t pull together to preserve what we have. Starting with the things that won’t change: You’ll learn stuff about Linux, WordPress and other Free Libre and Open Source Software (FLOSS). You’ll also get news about the communities that surround the code. FLOSS represents the most empowering technologies for folks like you and me, because the goal is to put you in charge of the tools. I’ve written a lot about net neutrality, because the basic principle of the Internet favors a level playing field, where everyone has equal access to every website. I use WordPress in part because it enables anyone, regardless of how much money or fame or sense they may have, to communicate with readers. If only the sites that can pay for a fast lane can find an audience, we all lose. More on this to come, but in the meantime, do take a look at my earlier writings on the topic. The fight for net neutrality is often portrayed as being between the big telecommunications companies and the big content companies like Google, Netflix, and Facebook. There’s some truth to that, but that’s not the fight I’m concerned with. The AT&Ts, Verizons, and Comcasts of the world that provide the “pipe” through which the vast amount of content arrives in our homes, offices, and mobile devices have much in common with the giant content companies who either view the average Internet user as either a pair of eyeballs to sell to, or the product whose content and privacy are for sale to advertisers. Many of the founders of the World Wide Web, including Sir Tim Berners-Lee, organized the Decentralized Web Summit in June 2016 to revive the idea that the web’s users should wrest control of the Web from the content oligarchs. Users should be able to control what information they want to receive, what they want to controbute, and not have to give up their privacy to participate in the conversation. I think this is a great idea, and will be reporting on its progress. Of course, this is a blog, so I reserve the right to diverge from these topics whenever I feel like it. I’m hoping to return to a weekly posting schedule, but we’ll see how that goes. If you’ve been reading these Notes for years (or even a decade), welcome back! Let me know what you think about these changes. If you’ve come across this post through some other means, please take a look around. If you like what you see, please subscribe in the . Also check my main site at MichaelMcCallister.com. Questions, comments, rebellion against the new themes? It’s all welcome, in the big box below. There’s more information coming to Notes from the Metaverse soon, but this is a short piece to tell you that I’ve updated the About Notes from the Metaverse page to tell you a little more about this blog and its author. 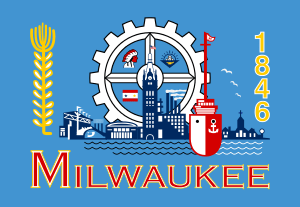 I can also tell you that WordCamp Milwaukee 2013 will be coming on June 8-9 at Bucketworks. The organizing committee is hard at work to bring you the best weekend of WordPress information and discussion possible. Make your plans now, and I’ll look forward to seeing you there! Two days after WriteCamp Milwaukee 3, and I’m still pretty inspired. I will have more to say about that in the coming days, but if you happen to be reading this on WordPress.com, chances are good you’re observing the new paint job (if you’re reading the RSS feed or on Planet openSUSE, you can click the link). Some time ago, I noticed that much of the sidebar material here at Metaverse had somehow migrated down to the bottom of the page, where it was largely useless. At first, I thought it was an issue with the Chrome browser, but last week saw the same problem in Firefox, in both Windows and Linux. This I took as a sign that perhaps it was time to retire the Regulus theme in use here practically since the beginning. Further impetus to making a change came this afternoon, when TPTB at WordPress.com released the new Twenty Eleven default theme, which you now see in all its glory. A quick test of the widget situation, and it became clear that the time had come. Twenty Eleven is a perfect choice for a transitional look, as it solves the immediate widget problem and makes the blog a bit more readable. Meanwhile, I can continue the search for an even better fit. So you’ll see Twenty Eleven here for at least a few weeks, but perhaps a bit longer. One never really knows. For the moment at least, the header graphic will have next to nothing to do with the subject matter (though I suppose the “city at night” header I’ve been using up to now hasn’t been especially relevant either). I may play with that some. I will also be updating the blogroll and making a few other surface changes. So if you haven’t clicked on the blogroll in a while, or are interested in getting these posts in your Inbox, take a look to the right column and click whatever strikes your fancy. In any case, thanks for your interest. If you blog, how often do you change your theme? What prompts you to make such a change? Have some thoughts on Twenty Eleven specifically, or what should appear here? Please leave a comment! When I started Notes from the Metaverse some eons ago on a platform that no longer exists, it was a standard personal blog. I wrote about things that interested me, whether on the web (most posts had at least one link to peruse) or in life. Since most of my interests at the time had to do with writing and Linux (and quite often writing about Linux), those were the things I wrote about. So when I moved my blogging HQ to WordPress.com, my tagline seemed fairly obvious. The blog would be about “Working, Writing and Open Source.” And so it was. Over time, though, the focus here would be more and more on free and open source software (FOSS), and much less on all the other parts of me. Nothing wrong with that. While I’ve always written here with an audience in mind, the size of that audience was never a central concern. I like to think I’m all about helping people with their computers, and outlining the advantages of open source without being too much of a zealot about it. Anyway, as a writer, my focus has evolved over the years, and the new book is a part of that evolution. While I’m not one of those folks who believe that desktop computing is going away entirely in the next few years, I’ve always been interested in the tools the Internet provides us with that help build community and expand free speech. WordPress as an endlessly malleable open source tool is a stellar example of these great tools. This is all to say that Notes from the Metaverse is going to change just the tiniest bit in 2010. First, let’s note that there will be more posts. Really! The goal is to post weekly at a minimum. There may even be more when I go to conferences and such. Second, posts will remain (perhaps even more) focused on FOSS generally. There will be more stuff about the web and community than there has been, but this will not become just another blog about WordPress. I read a lot of these, and the world probably doesn’t need one from me. Third, there will continue to be posts about Linux desktop software, as most of my personal computing continues to happen on openSUSE and Kubuntu. Many of these posts will be about KDE 4.x, which I’m coming to believe gets a bad rap from too many folks. Don’t be surprised if I expand on that theme soon. Fourth, while the size of the audience is still not a primary concern (Confession: Writing the SEO sections of the WordPress book was one of the hardest parts of the book, because I had trouble putting myself into that mindset), I pay enough attention to my visitor stats to have noticed that y’all really like the how-to posts done here. To be honest, I like reading them too. So there will be more of that too, on both the Linux and WordPress sides. Finally, with the imminent relaunching of http://www.MichaelMcCallister.com (OK, some might think it was never really launched the first time), this site will get a little bit of a facelift/theme shift. The tagline will be adjusted. Categories will be pruned, and tags used much more effectively. I’m also going to post more on the writing life at the abovementioned site. More to come on that very soon. Change is never easy. Let me know what you think about these ideas; nothing’s set in stone yet. Heck, it’s a blog–nothing’s ever set in stone. In my continuing quest to make things easier on my readers (yeah, you! ), I’ve been trying to add FeedBuddy to the page. This service lets you subscribe to the “Notes from the Metaverse” feed using just about any reader (web-based or disk-based) you can think of. Or at least those were the notes I took from wherever it was I read about it. Problem is: For the last two weeks, I haven’t been able to connect to the Feedbuddy website to sign up. I’ve tried different browsers, different times of day, different OSs, but the site continually times out. I even re-Googled it to make sure I didn’t have the wrong URL. No luck. Does anyone know if Feedbuddy has become too popular for its own good, or just died prematurely? Anybody know of a similar service? Or do y’all like a series of buttons down the right side of the page with the blogroll? All thoughts entertained.